Russian-born pianist based in London Julia Sinani has performed extensively in the UK and Russia both as a soloist and chamber musician. Julia started her musical education at the Gnesin’s Music school in 1999, and switched to the World-renowned Central Music School (college) in 2003 to study with an Honorary Artist of Russia – Professor Valery Piassetski. Since the tender age of 5 Julia took part in concerts in all major concert halls of Moscow. Julia has performed as a soloist in many cities in Russia, particularly in the halls of Moscow and St. Petersburg. She has also toured extensively (Russia and Europe) as an accompanist, solo pianist and a soloist in chamber music ensembles and played in orchestral programmes of the Central Music School of Moscow and took part in various concert programmes of Vladimir Spivakov’s Charitable Fund and was selected to participate in many master-classes, most notably with Nikolai Petrov. Julia won numerous music competitions and after graduating with Honours from the Central Music School in Moscow was awarded a scholarship to study at the Royal Academy of Music in London from which Julia graduated in 2015. 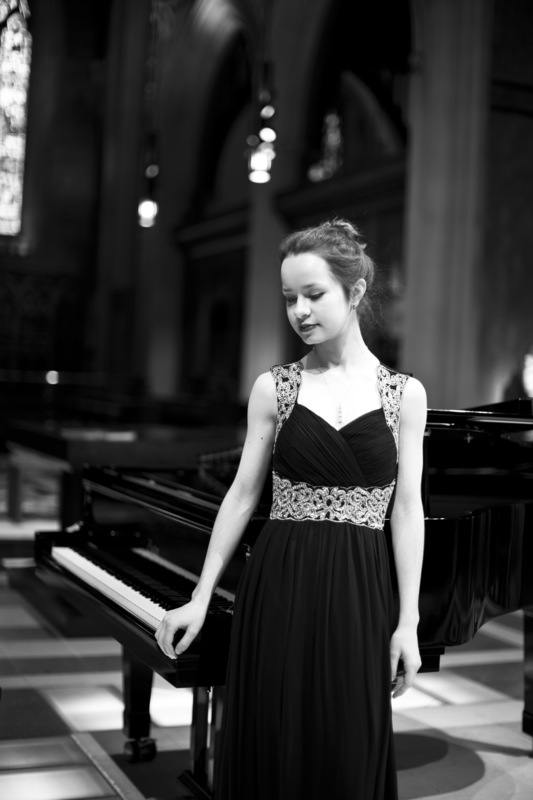 Julia decided to continue her education at the Academy and was awarded a scholarship by the bursary committee of Royal Academy of Music to complete her Master’s Degree in Piano Accompaniment. She’s completed the course in 2017 and has been awarded a Distinction and a DipRAM – special prize for outstanding musical achievements. She has been a permanent feature of an annual Pushkin in Britain Festival since 2011, which led to her performing at the Russian Embassy in London as well as many other venues in London.